I have been trying to pin down exactly where social media use is happening. As much as I complain about it (and there’s lots to complain about), Facebook is where the majority of my generation is. Twitter too, though to a lesser extent. But as both a concerned parent as well as someone who works in the social media mobile app development space, I am trying to understand where things are headed. So, where is the next generation? The answer is fascinating. Looking at the teenagers in my household (sample size of 1), we’ve had an interesting shift over the last year. Before his 13th birthday (almost a year ago) he begged us for a Facebook account. As I have written previously we were not going to let him have one until his 13th birthday. Well, said birthday rolled around and he had no interest in Facebook at all. 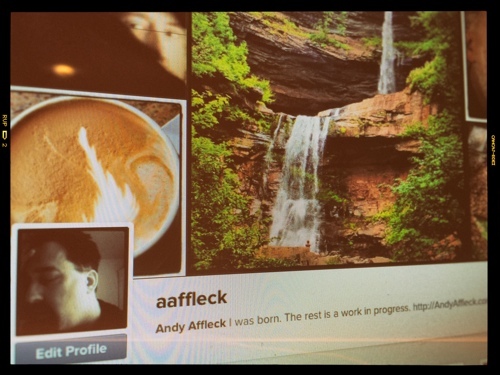 At that time, all his friends were on Google+ and using it and Google+ Hangouts was The Thing. A few months later, he finally got interested in a Facebook account again and we got him set up. For a little while, Facebook was all the rage. And then the digital nomads moved on again and found new hunting grounds. Last I checked (a few days ago), they were using a combination of Tumblr, Skype, Instagram, YouTube, and plain old SMS. I’m sure if I looked tomorrow, it will have changed again. Meanwhile, friends of ours out in Seattle report that their son (slightly older) uses Facebook almost exclusively. However, that is, in large part, because the teens at his school have figured out that creating closed groups to talk about various classes is a great way to help each other out with homework, catch people up who were out sick, share notes, and more. I attended a meeting for a parents group at my son’s school last night. The topic was the current state of social media use among the middle school and high school students and I went to see if what they were seeing echoes what I’ve been seeing. They are, mostly. Among the middle school students (including my son), Instagram and SnapChat are the most important apps in use. In the high school, it is the same list but Twitter is in generally heavy use as well. Few are using Facebook anymore. It is perceived as being for old people (that’s their parents). My view, colored by having just finished a wonderful book called Genghis Khan And the Making of the Modern World, is that teens today are nomads, like the Mongols. While the old people (their parents) live in the big cities (Facebook and… well, Facebook), they are out on the plains moving from location to location, following the good hunting. They’ll set up shop on a few social media apps and stay there for a time. At some point, something new will come along or enough of their friends will have moved off for some or other reason, and they will pull up the tent stakes and head on to new things. Essentially, they are wherever is convenient at the given moment. It is wherever their friends are. It is wherever they can get together effectively and have a good time. In short, they’re all over the place. And that makes a certain kind of sense. The adults came of age either before any of these apps existed (even before the web existed) and Facebook was the first real place where we could find all of our friends and virtually hang out (it could be argued that MySpace or even Friendster were but neither existed when the critical mass was reached). We have the inertia of everyone being there knowing that moving to a new system only works if they come with us, which is not likely. Teens, however, have none of that. They flit from app to app, hanging out with whoever is there at any given moment, making new friends, finding their current friends, and then moving on when something new comes along. It will be interesting to see if they settle down in their generation’s version of a Facebook (or, of course, on Facebook itself) when they get older or if this is the pattern of things to come. The biggest challenge of any parent in this day and age is keeping up with their teenagers. I feel like I am joining a new service every other week or so. Just today, I joined ask.fm (go ahead, ask me a question, I’ve not had time to use it yet) because I saw that my son had (and only because he posted about it on Instagram, and I only knew about that because I set up an If This Than That rule that emails me every time he posts something to Instagram. You following all of this?) And, in a strange way, I find I am becoming a bit of a digital nomad myself as I try to keep up with my son and where he roams online. Funny how we feel the need to follow them around virtually but never does the thought about following them physically cross our minds. Thanks for the Instagram tip. When we lived 3 blocks from school when he was in 3rd and 4th grades, I often paralleled him a block away where he couldn’t see me just to keep an eye on him. At least at the start. Letting him go solo became a point of pride and I knew to back off. As I will later on with online stuff.